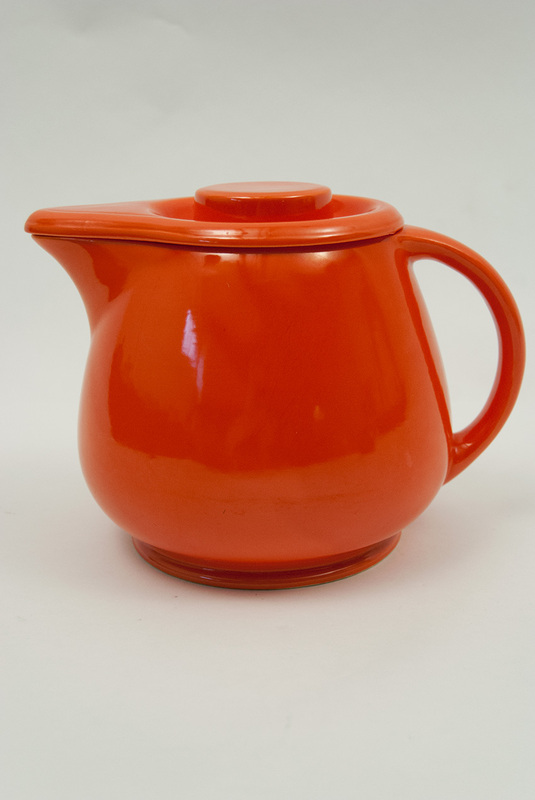 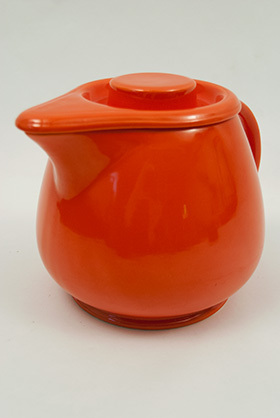 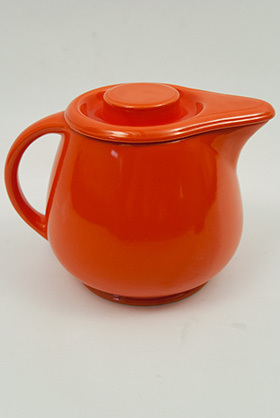 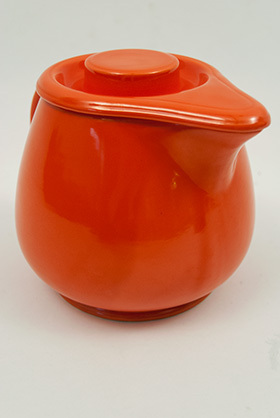 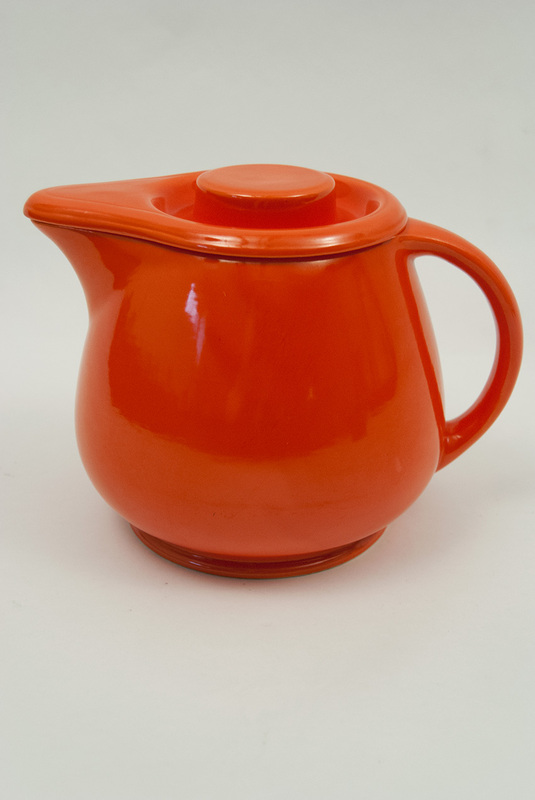 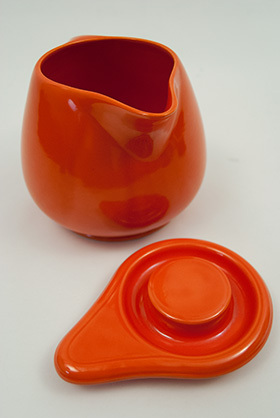 Circa February 1938-1942: Small Variation; The ever so slightly smaller version of the fiesta Kitchen Kraft covered jug is still suprisingly large and delightfully round, given plenty of girth to enjoy your favorite original fiesta colors. This example in the early red glaze is a delight, with its double step flange lid, more complex and interesting than the simple large jugs lid. 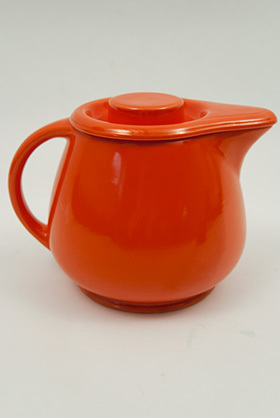 Slip cast and finished by hand with an in mold mark on the bottom "Fiesta Kitchen Kraft", the fiesta Kitchen Kraft jug is truely one of the highlights of the entire vintage potteries line. 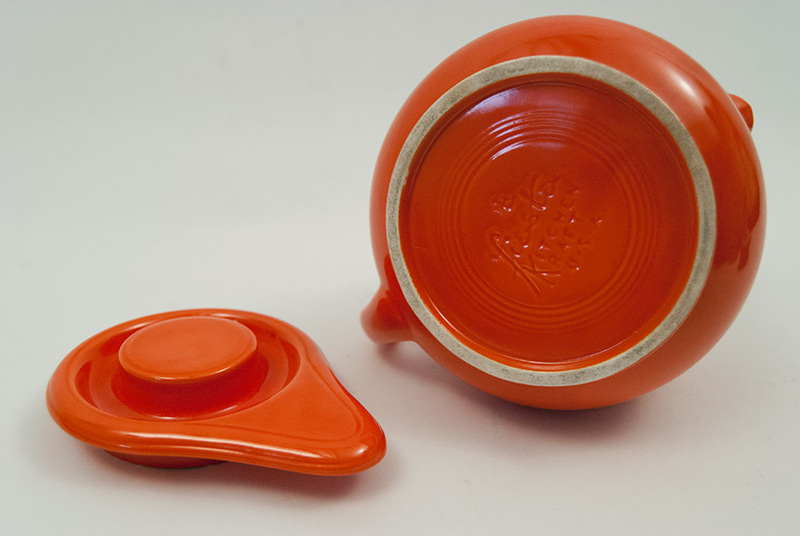 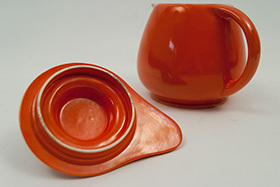 Scarce and always an exciting find, this example in highly coveted original radioactive fiesta red glaze is in excellent condition without any damage. 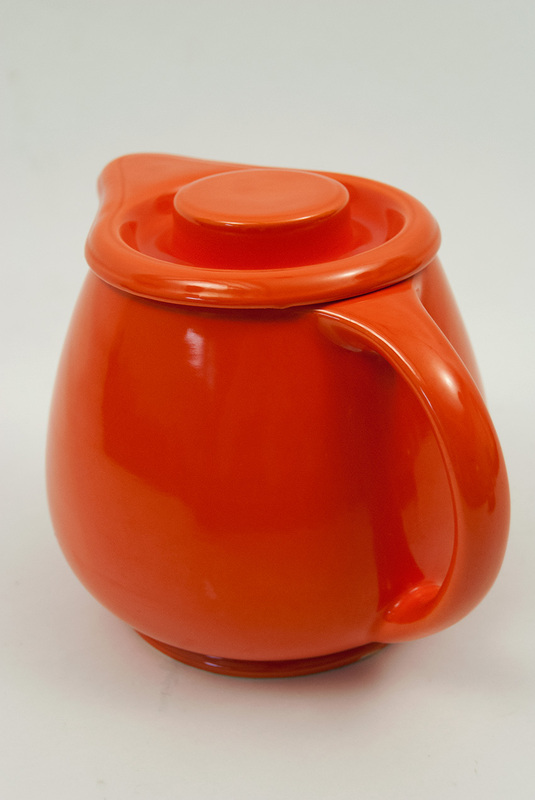 No touchups, no scratches on it's lid or belly and a perfect spout make this a very nice example. 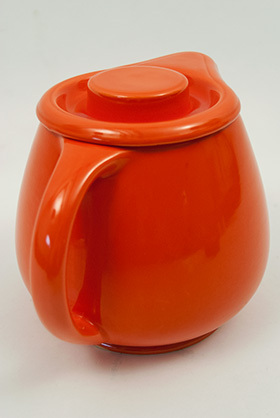 Measures almost 6" tall with lid and a little over 6" wide, across the spout to back of handle.